Custom internal baffles keep fluid in place for smooth curves no matter how high the G’s. 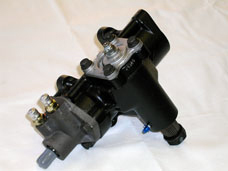 Diving hard into corners with conventional power steering fluid tanks can cause problems. Specifically, the high g-forces cause fluid to wash up the tank walls and allow air into your steering system. The resulting cavitation reduces power steering control at the apex of the turn where you need it most. The C.J.R. Products G-Force Tank completely eliminates this problem. 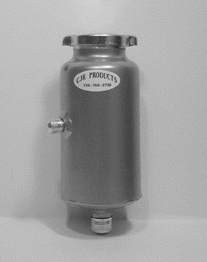 Custom internal baffles prevent fluid from sloshing up the tank walls no matter how high the cornering forces. With the G-Force Tank you’ll feel the smooth, strong steering response on the straightaways and all the way through the corners.